We would like to cordially invite you to the third EASL Hepatocellular Carcinoma (HCC) Summit: From basic to clinical research: How to improve HCC clinical care? to be held in Geneva, Switzerland from 1-3 March 2018. HCC is considered one of the most important causes of death in patients affected with chronic liver disease. In the past years, major advances in the early diagnosis and treatment, particularly in advanced stages, have taken place. This Summit will cover both the basic and translational/clinical aspects of the disease, with a specific focus on new targeted therapies in HCC. Great efforts have been made in the scientific programme to enhance the interaction among basic scientists, clinical researchers, and Industry leaders to stimulate our combined efforts in addressing the key challenges in HCC. This year’s programme will be informative and stimulating, covering a broad range of topics presented as high-quality presentations by renowned experts. We anticipate that this combination of high quality and interactive presentations by leading scientists and clinicians from academia and industry will be successful, and will help to move the field forward. We are eager to welcome you in Geneva for this major event. 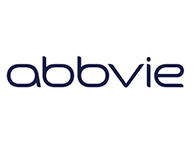 EASL thanks its Premium Sponsors AbbVie and MSD for their generous contribution and support of the association’s activities with unrestricted educational grants. AbbVie and MSD have had no input into the content of the materials and presentations used at this event.